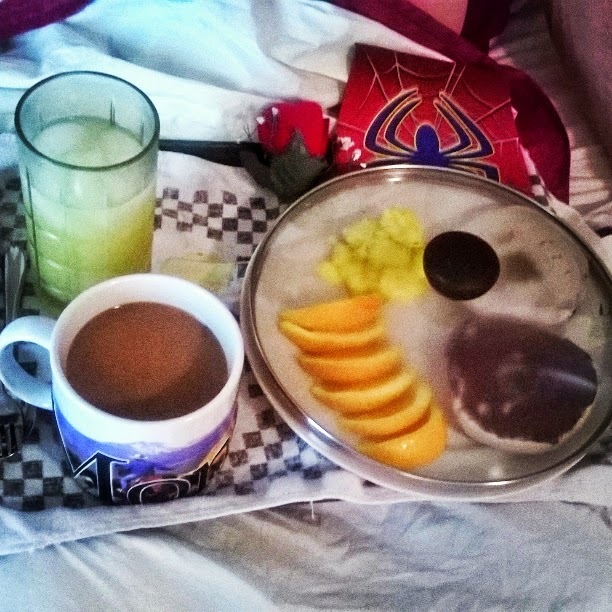 Sometimes on your birthday, you get breakfast in bed. You're a sweetheart for doing that! Breakfast in bed is a real treat! Breakfast in bed is always a wonderful surprise!!!!!!!!!!!!!!!!!!!!!!! You're a nice wife. :) Happy Birthday to your husband. It's true about the little things. And I do hope so Crissie. I am trying. Breakfast in bed is great! It is special, memorable and such a nice gesture. Breakfast in bed would be awesome. It looks good. It sounds like you have alot on your plate. Good for you. Just remember to take care of yourself so you can continue to help others.